HOUSTON -- I LOVE guacamole so much that I eat more than just a serving or two (usually five - I can't STOP!!!!). I've experimented with ways to stretch it out, make me feel like I'm eating more, and cut the calories. So, with the highly controversial New York Times tweet going viral yesterday, I had to laugh. A friend encouraged me to try adding to the avocado a couple of years ago! I've tried the peas, the edamame, and green beans. I just throw them into the food processor with my other ingredients, mix it up, and voila! Peas are actually my favorite out of all the beans, though. They make the guacamole a little sweeter. 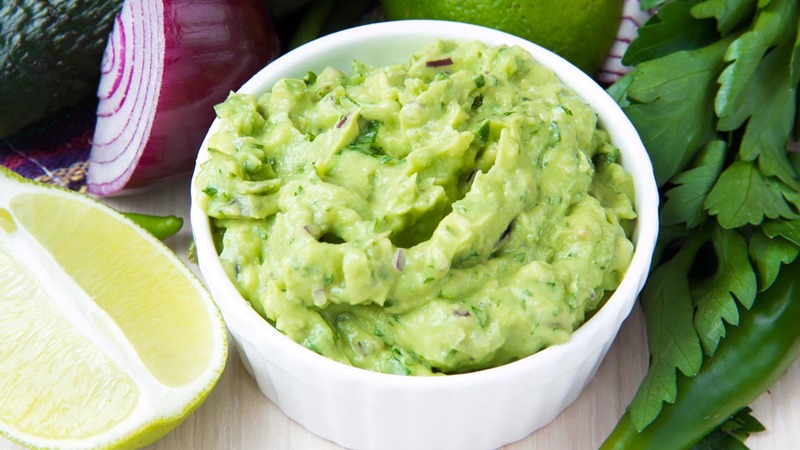 However, one of my favorite TV guests, Stephanie Merchant, aka The Nutrition Mom shared a twist on the traditional guacamole, I got hooked, and it's now my go-to. I don't follow recipes, though. I take what I read, remember the ingredients, sometimes add my own ingredients and then make it to taste. So, here's my version of her Basil Guacamole that's become quite the hit in my household! Blend the ingredients in a food processor. Now this is the key, taste and add! Sometimes, I want more lemon or salt. The spinach adds more calcium, fiber, and other vitamins. Plus it stretches the recipe and keeps it lower calorie!